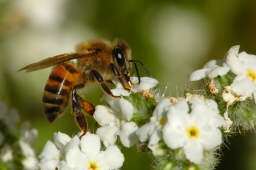 The Russian Bee Breeders Association began its Russian bee mating program in 2007. It is an organization that maintains and improves the genetic lines of Russian honey bees through propagation and selective breeding. There are eighteen separate genetic lines that are divided into three blocks identified as the A, B, and C Block. The organization does not sell bees. Each of the 15 members is assigned 2 lines within one of the three blocks. Each member is responsible for annually reproducing populations of their lines for evaluation. Colonies are evaluated on many factors; to improve the resistance to Varroa mites, to maintain resistance to tracheal mites and increase honey production. The best queens from selected colonies are used as breeders for the next generation. There are only a few certified members that sell Russians to the public.